I recently read Superman: Earth One. “WAIT! This isn’t a comic book blog”, you say. I ask, bear with me for a minute I will get to my point. This reimagining/retelling of Superman’s origin by J. Michael Straczynski left a strange taste in my mouth, figuratively speaking; I don’t normally lick graphic novels. I am a fan of Mr. Straczynski’s work, heck Babylon 5 is still my favorite sci-fi show, and this a show that ended twelve years ago! And I think therein lies the problem. I was in my early teens when The Man of Steel mini series came out; I had been reading comics for four years and this, following the massive Crisis on Infinite Earths, felt like a retelling of Superman’s story for my generation. And I understand every generation reinterprets the icons and stories of their ancestors and makes them meaningful to them. But in recent years I’ve read way too many different origins for Superman, from the excellent Superman: Birthright by Mark Waid to the more recent Superman: Secret Origin, which I did not like as much, and now this. I know the Earth One graphic novel is intended for a different audience, but it feels like too many, too soon. This, along with the endless reimagining (rehashes) Hollywood keeps churning out, the notion of a Buffy reboot being the latest inconceivable one (I’m not a Buffy fan and even I get why it’s wrong) made me throw my hands up and say, “Is there no originality? This is sacrilege?” And while there may be some truth to that, I think I’m ultimately wrong. See I hinted at the real problem all the way back at the beginning of the post. I’m no longer thirteen years old reading The Man of Steel for the first time. Like I wasn’t the five year old that saw Star Wars when I watched The Phantom Menace. I can bemoan the prequels for all their faults, and there are plenty, but to a generation those were their Star Wars films. To a new generation Superman: Earth One will be their first Superman story. And there will be original stories, new narratives alongside the old reinterpretations, as it has been through the ages. Perhaps in our age of hyper communication, of our ever changing media landscape, we are more aware, more sensitive to it, but it happens and we must deal with it. When I sit down to examine my games, what I play, my campaigns (and this being an RPG blog I better get to some RPG discussion here) I realize I am guilty of this same reimagining, even rehashing sometimes. I’ve rebooted my homebrewed three times. There was the original version we played in 87, then the second version, with new players and a more intricate storyline, we played the summer of 89 and then the last one that has lasted from 93 to the present. Even within the campaign I can see some themes, some subject, matter being revisited. True some are storylines that have run for a long time, but I wonder, do my players even care, or am I doing this for my own satisfaction? True my players keep returning to my table and a couple of them have been playing long enough to follow the plotlines, but to the newer players there is little context for this. And then there are the themes: religion, politics, and overtly intricate conspiracies. I must admit that all these feature prominently in ALL my games. I must reexamine myself and ask, while some of these may be important or interesting topics to me, am I being just as guilty of rehashing plots as are the creators, writers and movie makers I criticize? We could all use some introspection and self analysis to make the games we play better. So as the end of the year approaches I’ll be assessing my games, trying to make some changes to keep them as fresh as possible, try out some new ideas and mix it up a little bit. I already have some thoughts on how to acomplish this. I’ll let you all know how the self inventory goes and what comes out of it. I think I’ll reimagine myself! I invite every one of you out there to do the same. We can only become better for it. This being my hundredth post and in the spirit of the Thanksgiving that is happening on my part of the world I better thank some people. First and foremost to Michael who has give me the opportunity to write in this wonderful blog he created. To Daniel Pérez who kept insisting I should blog (both of whom I also thanked on the very first post 9 months ago, how self referential of me). Big thanks also to my players, old and new, who’ve kept my love for RPGs alive. To the Puerto Rico Role Players community, I got bitten by the bug of writing and communicating about games there and I appreciate each and every last one of you (see you at the geeknic December 11). And last, but definitely not least, to all the readers. Writing in this blog has opened up a new world for me. I’ve come in contact with game creators, writers, but most importantly of all, fellow RPG enthusiasts, who love this game and want to share their experiences. To everybody who commented or read any of my posts I say… How do you manage to read such dribble? Oh, and thanks! Your post really made me thinking. I think we all are guilty of rehashing the same old stories over and over again. That's not necessarily a bad thing as long everyone enjoys the game, but it carries with it the risk that the game may become stale and uninteresting. I am still looking into some ways to introduce some fresh ideas into the games I run. By the way, I read Superman: Earth One, too, and enjoyed it tremendously. But I am not an Comic book afficinado like you, Sunglar. When I remember correctly this was actually the first Superman Origin story I ever read and although it's quite different from the original, I like it very much. 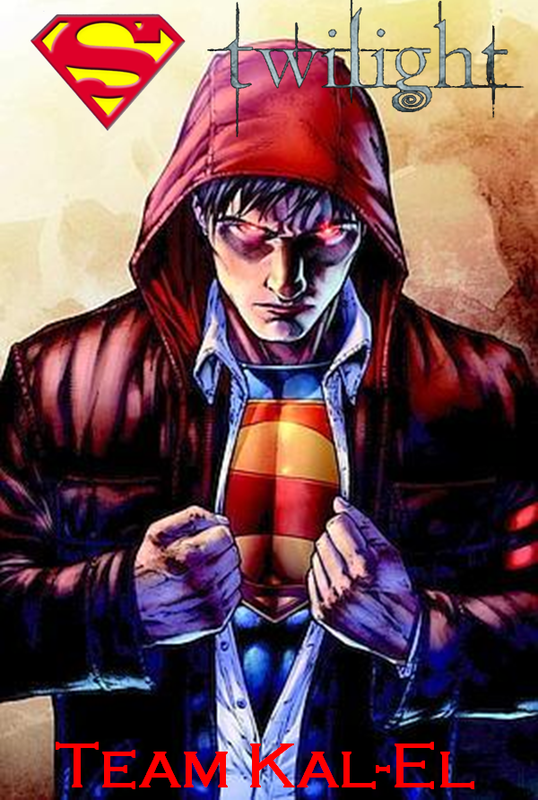 This could be a new Superman for the 21st century. Regarding the Buffy movie: I am utterly speechless how moronic some of the people at Hollywood are. The Buffy TV series was such an success because of the Joss Whedon and the awesome cast he assembled. Without him or Sarah Michelle Gellar this movie will probably as lame as the original Buffy movie. Robert: Awesome. Keep rocking for 500 more! Michael: But I like the original Buffy movie. Ok, the Buffy movie was not that bad, but in my opinion the TV series was superior in many ways. I don't think you're wrong but at the same time I think that there is such a thing as overdoing it. There are interesting issues to be explored in some retellings of the Superman origin… like putting him in Soviet Russia or Medieval England. My issues with Earth 1 is that no matter how good a story it is, I don't know what it really adds to the mythos that say the recent Superman: Secret Origin also did. At a certain point it feels like ego.